DUE TO WEATHER, THIS EVENT HAS BEEN POSTPONED TO JULY 13. 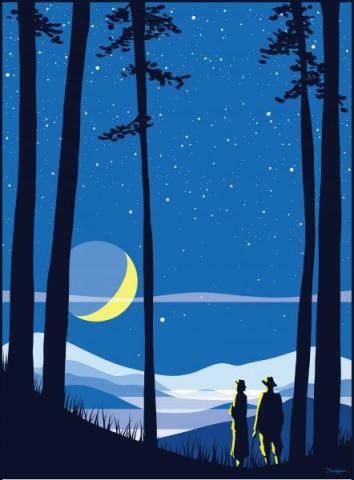 Come explore our moon at Morrow Mountain State Park for the Statewide Star Party! Join us before sunset for lunar activities then take a ride on the big canoes. Free 30 minute rides will be offered on our 29 ft canoes to explore the moon and stars above! While waiting for a ride on the big canoes pick a spot on the lawn to stargaze and use a telescope to put your astronomy knowledge to the test. We will be joined by the Astronomical Society of Rowan County and Muddy Sneakers! Please call the park at 704.982.4402 or email maggie.miller@ncparks.gov to reserve your spot on the canoes today! Canoe rides will be given at 7:00, 7:45 and 8:30.